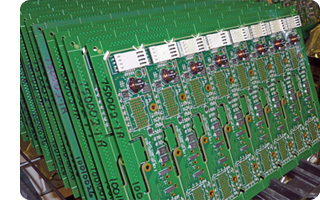 Company: Overview - Colonial Electronic Manufacturers, Inc.
Colonial Electronic Manufacturers, Inc. is a full service Electronics Manufacturing Services (EMS) company specializing in PCB assembly, RF Assembly/Testing, and Rework/ECO services. CEM provides OEMs with a broad range of services, including a formal New Product Introduction (NPI) process that includes a Design for Manufacturing (DFM) report with potential recommendations for improving the assembly process thus reducing the manufacturing cost. We are always expanding to meet new requirements and the growing requests of our customers. Situated in Nashua, NH, we have been in business since 1992 with customers in defense, industrial automation, medical, semiconductor and telecom industries. We pride ourselves on becoming a value added partner who seamlessly integrates into your process and gives you the market advantage you need. Know that once you engage CEM, your final product or sub-assembly will be quality built and delivered on time. CEM is ISO 9001:2008 certified. It is an important validation of our commitment to delivering the highest quality products with superior customer satisfaction to our valued customers. With over 17 years experience, seasoned employees dedicated to your success, and constant training on the latest technology, we can deliver more efficiently and cost effectively. We value your time and always strive to be extremely responsive to meet your requirements and deadlines.